MariaDB is an open source relational database management system (DBMS). 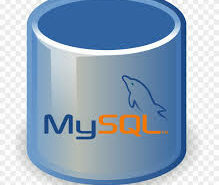 It is a good drop-in replacement for the widely used MySQL database technology. The Oracle developer team created it as a fork of MySQL. MariaDB Corporation says that “for all practical purposes” the database is binary-compatible with MySQL. This makes easy to switch between these two platforms by uninstalling MySQL and installing MariaDB instead. 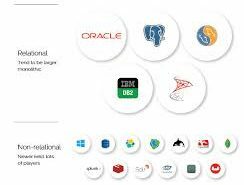 It is SQL based and supports ACID-style data processing with guaranteed atomicity, consistency, isolation and durability for transactions. It also supports JSON APIs, parallel data replication and multiple storage engines. Storage engines includes InnoDB, MyRocks, Spider, Aria, TokuDB, Cassandra etc. Still, there are some incompatibilities between corresponding versions of the databases. In version 10.1 and above, MariaDB stores JSON data in a different format than MySQL 5.7 does. 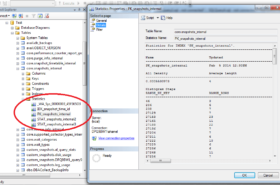 To compensate, users looking to recreate columns of JSON objects from MySQL to MariaDB have to do some additional magic. MariaDB is compatible with Windows, Linux and macOS operating systems. It’s available on Intel and IBM Power8 hardware platforms and runs on several cloud platforms. Supports programming languages C++, C#, Java, Python, and others. This is an open source software under version 2 of the GNU General Public License (GPL). It has a ColumnStore engine especially designed for use in big data applications. MariaDB Corporation also offers a database proxy technology called MaxScale. This allows queries to split across multiple servers. This is available under a Business Source License of the company that charges a price for MaxScale in deployments with more than three servers. Both platforms index PRIMARY KEY, UNIQUE, INDEX, and FULLTEXT are stored in B-trees. Queries syntax is also the same for both. They have the same database structure.